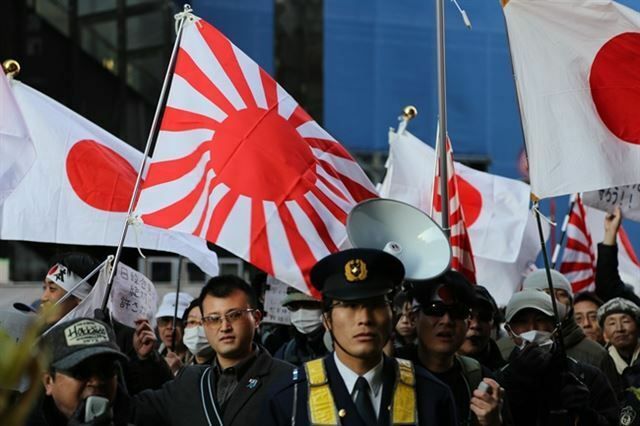 Japanese actor Jun Kunimura faces mounting criticism in his country after suggesting that Japan understand Koreans’ sentiment toward the controversial Rising Sun Flag, given the two countries’ thorny history. 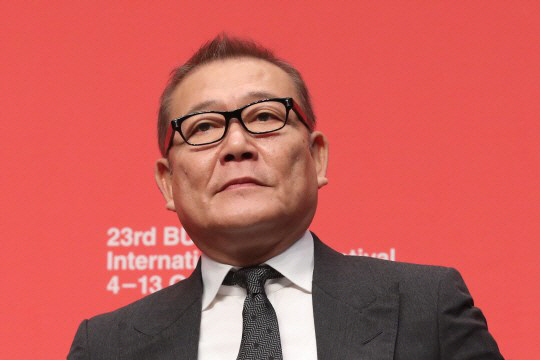 During the Busan International Film Festival on Friday, the actor said he thinks Japan should understand the way Koreans feel about the flag, when asked by a journalist about the controversy surrounding the flag being flown at a naval event in Korea. “The Japan Self-Defense Force would say that they cannot concede because it is tradition, but I think to myself what if Japan shows an understanding,” said the actor, who serves as one of the jury members of the New Currents section of the film festival. His remark has drawn online criticism in Japan. “You don’t have to ever come back to Japan,” read one response to the actor’s remark on Yahoo Japan. “Don’t you take on a role that requires you to wear a military uniform again,” said another comment on the website, criticizing the actor. Amid growing criticism, the film festival issued an apology, saying, “Political opinions can be exchanged at a film festival but guests should be protected from highly touchy subjects. “You can’t express your view well on an issue that requires hours of discussion during a quick Q&A session at a press conference. We are sorry for not taking this into consideration when we ran the press conference,” the event’s organizing body said in a statement. The actor also issued a statement saying he wished a film festival could be a forum for everyone’s opinion and thoughts. Reactions to his remarks have been somewhat mixed in Korea, with many finding the question inappropriate for the occasion. “Questions like this should be put to Japanese politicians, not actors,” one user of South Korea’s largest web portal Naver said. Another user bucked the trend by showing concern over criticism of the journalist who had asked Jun the question in the first place. “As we try to separate the arts from politics, we end up refraining from speaking the truth and staying silent as a result,” the user wrote.